Publisher: Lanham, MD: Lexington Books, 2017. 208p. The presumption of innocence, the principle that one is considered innocent until proven guilty, has a long history of acceptance in international legal systems; the earliest reference being in the Code of Hammurabi. Regardless, the fundamental right to the presumption of innocence was not well established or evident in common law jurisdictions until the 19th century—after the English common law swung from a presumption of guilt, and trial by ordeal, to a presumption of innocence. Despite this acceptance, Anthony Gray writes that legislators in common law jurisdictions have been undermining the presumption through various legal means. In addition, he argues that the courts have readily cooperated, rather than defending the presumption of innocence. To detail this, he compares court rulings and laws in common law countries. 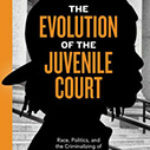 Gray begins by tracing the gradual history of the presumption of innocence, triggered by the introduction of the jury system, and its importance in international legal systems. Amongst other findings, Gray writes that the presumption of innocence reflects the notions of moral comfort around the judgment of the jurors – the concept was meant to protect those judging the accused, not the accused themselves. He then documents how the court systems in the United States, the United Kingdom, Canada, and Australia have “accepted a diminution in the legal protections” afforded by the country’s governing documents and have made cases easier to win for prosecutors, rather than protecting defendants. The legal research was exceptionally detailed; fact patterns were provided for almost all cases and both the majority and dissenting opinions were presented. He then continues by outlining three ways in which the presumption of innocence has been undermined or diminished, possibly leading to the conviction of an innocent person. First, legislators have passed reverse onus provisions, which would shift the burden of proof onto the defendant to disprove an element of the information. Second, legislators have redefined offenses and defenses to minimize the burden on the prosecutors; including the diminished role of mens rea in criminal statutes. Third, legislators have classified proceedings as civil, when they are believed to be criminal matters (specifically, forfeiture proceedings and civil commitments). Gray then provides a detailed analysis to answer the following questions: What is a crime? What is a defense? When is a case criminal or civil? The book is remarkably researched and easy to read. 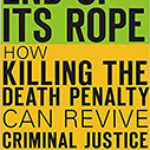 However, this book only discussed the presumption of innocence as it pertained to a trial, not when the prosecution and defense engage in plea negotiations. Yet, plea bargaining or negotiations is a widespread practice in all the nations compared (Brook, Fiannca, Harvey, Marcus, McEwan, & Pomerance 2016). Often, the role of the presumption of innocence is diminished in these proceedings. It would be interesting, and insightful, to read Gray’s remarks on the presumption of innocence as it pertains to the widespread use of plea bargaining. In addition, since presumption of innocence is so essential to the legal system, readers might wonder if there are any other policy implications – not simply urging courts to reassert the importance of the presumption. Brook, C.A., Fiannaca, B., Harvey, D., Marcus, P., McEwan J., & Pomerance. R. (2016) A Comparative Look at Plea Bargaining in Australia, Canada, England, New Zealand, and the United States. 57 William and Mary L. Rev. 1147.